Get a $50 voucher to Heritage Nursery for ONLY $25! He worked part time for four years working out of the back of his pickup. In 1992 Bill moved his location to Elkhorn. Back then, the 24 acre plot of land was a mere corn field. Bill admits that he really had no plan when he started. His original customer base was retail until one day a landscape contractor asked if he would sell wholesale. 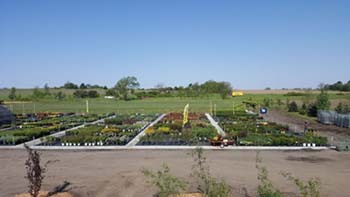 Bill then discovered his niche and has grown Heritage Nursery into the premier wholesale nursery in the region. Heritage strives to offer you the widest array of products, the highest quality plants, and the best customer service. As time went on, there became a need to expand and serve the Lincoln, NE market. In 2003 Heritage Nursery West was formed and opened a 58 acre store and production area near Roca. For a long time, Heritage has been the trusted wholesale nursery to landscapers, landscape companies, and landscape contractors; however, there was a growing need to serve retail clients as well. 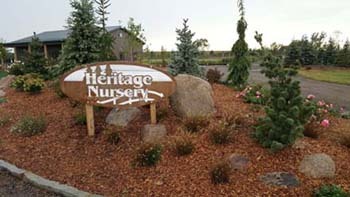 As a result, Heritage Nursery opened up a new location in Lincoln in 2016 to better serve landscapers and homeowners alike. Best part? We still grow plant material locally in Roca, NE.